Edward J. Delaney is an award-winning author, journalist and filmmaker. 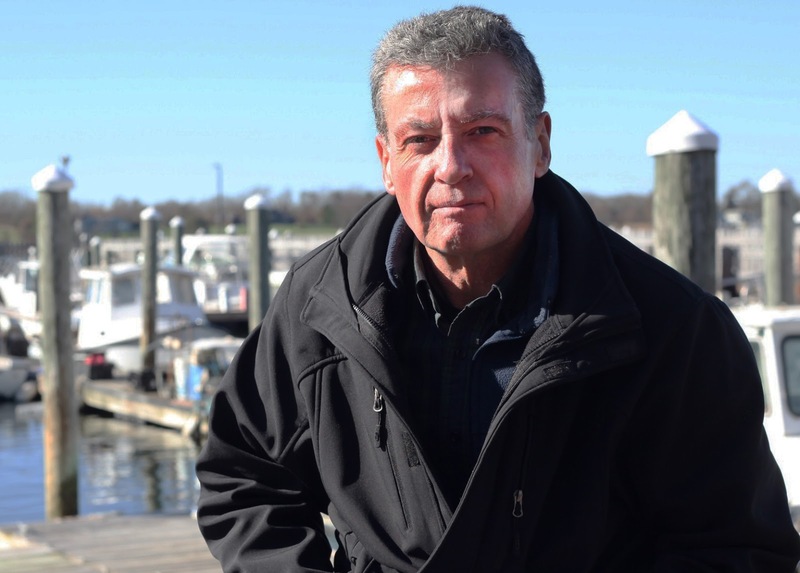 His accolades include the PEN/New England Award, the O. Henry Prize and a National Endowment for the Arts Fellowship. 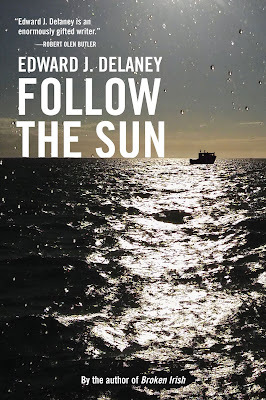 He is the author of three novels, Follow the Sun, Broken Irish and Warp & Weft and a short story collection entitled The Drowning and Other Stories. He has also written for the Denver Post and the Chicago Tribune, received the National Education Reporting Award and served as an editor at the Neiman Journalism Lab at Harvard University. As a filmmaker, he directed and produced the documentaries, The Times Were Never So Bad: The Life of Andre Dubus and Library of the Early Mind. 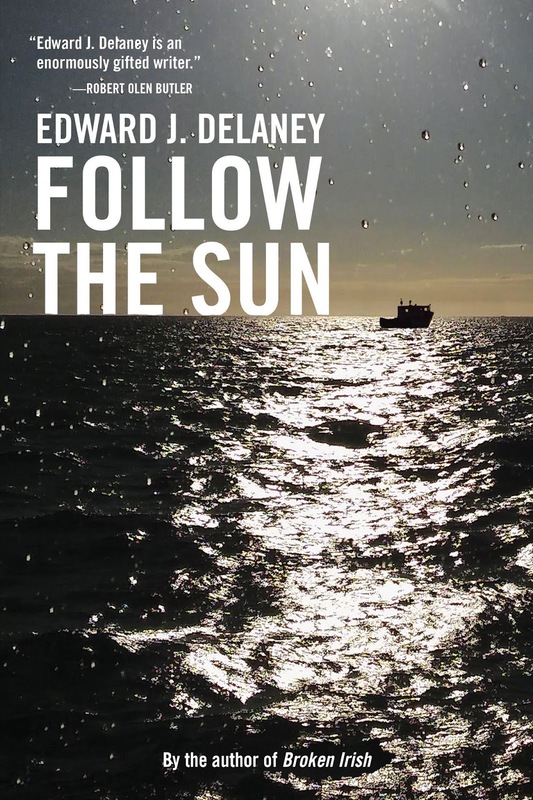 Stay Thirsty Magazine invited Edward J. Delaney to participate in our One Hundred Words project by responding to our topics in exactly one hundred words that relate to his latest novel, Follow the Sun. EDWARD J. DELANEY: It’s that mold that has formed us until it forms us anew. Writers, especially, must spend far more of their thoughts in the past, and live in it more; for a lot of people I know, it’s a clutter of experiences, like an overloaded closet from which you might pick something out from time to time. A story, of course, replicates the past in a way in which all the uncertainty is renewed, so that, unlike with memories, nothing seems foregone. The past is a fossil that suggests the living thing. And, of course, the past just keeps on coming. EDWARD J. DELANEY: The most basic element of the human experience that we keep trying to see as completely unnatural. That’s distinguishing between faults and actions; most people live with their faults and usually understand them. I’d imagine most people’s faults are what make them most interesting, where one’s desires and attitudes slam up against the way we live in the world. In Follow The Sun, Quinn especially suffers long penance for his faults when he was still young. He doesn’t want that much out of life, but he botched things badly early on and there’s no real fix. He lives with it. EDWARD J. DELANEY: I teach a course called “Obsession” and we sometimes ask, “Is love a form of insanity?” It often can be, a place where we suspend our logic based on things that are inherently illogical. At least I hope so! Logical love wouldn’t seem like love at all; if love is illogical then hope for the best! In stories, isn’t the hardest thing of all to replicate a portrait of love the reader understands without an obvious checklist? Love is sometimes a most dangerous place, in which you put hopes and trust into the world and then proceed mostly on faith. EDWARD J. DELANEY: But what kind? One is the happy burden, the struggles we accept and believe in and happily shoulder. The burden of hard work gives the world great meaning, even if in failure. Some of the unhappiest people I know are those who go to the greatest lengths to avoid such burden. The weight of heavy responsibility can be the greatest reward. Then there are the unhappy burdens, those unexpected and thrust upon us and seeming unfair. In the Follow The Sun, I think all the main characters carry both kinds. But they may be less clear on which is which. STAY THIRSTY: Right to expect. EDWARD J. DELANEY: That strikes me as a very American condition, once we get past basic human rights. Hope is one thing, but presuming any right of expectation is a luxury in itself. I’ve tried to be mindful of its corrosive nature. We exist in an endless loop of mass-media, mass-marketing culture that reminds us hundreds of times daily what we need to make us happy. I’ve come to believe that stepping away from expectations and thinking about hopes, and goals, and the pleasure of working toward these, is much healthier. For a writer, nothing should match the reward of the work itself. EDWARD J. DELANEY: A place people seem to be increasingly afraid to go. The digital culture makes it so that you don’t have to be alone for even a minute. Paradoxical that aloneness is one of the great gifts we can give ourselves. Even if done sparingly, being alone (or bored) is the place where creativity springs from, where thoughts become clearer. We get to know ourselves. Like most people who write, I work hard to find that aloneness, to not hurry it, and to make it a refuge. I worry people are decreasingly finding that aloneness in which reading used to happen. EDWARD J. DELANEY: Real, but sometimes constructed in our own culture. To be starving or without shelter is real; to lack the things you believe you deserve is a kind of self-created poverty. I earlier mentioned the mass-marketing world we live in, in which we are endlessly reminded of our wants, and of the things that will supposedly quench our wants (but never do). I find myself interested in people, and characters, who find a lean, simple way of living, so that it’s a choice and not a penalty. I have admiration for people who purposely do without, as a form of serenity. EDWARD J. DELANEY: We all have more than we think we do. Ninety percent get thrown out because they carry risk, eight percent more because we weigh it against current circumstance. That two percent left over feel, falsely, like the only choices. In that ninety percent we rejected, there might be a new life, new excitement, and the chance we become someone different. But it’s human nature, and literary law, that we only make real choices when we lose our safe harbors. Unhappiness is what typically forces us to make choices. But the choices were there all the time, for most of us. EDWARD J. DELANEY: A quality found in unexpected places. I suppose it happens when one’s self-interests retreat from the sense of what must be done. Follow The Sun, like all my work, has no obvious heroes. I’m interested in the unexpected hero, who may suffer for doing the right thing. Choice is part of it. Having no choice makes less of a hero than the person who could avoid the reality but instead chooses to step up. Good stories draw that quality out of characters we see as “normal,” and help us believe that we might possess a little bit of heroism ourselves.